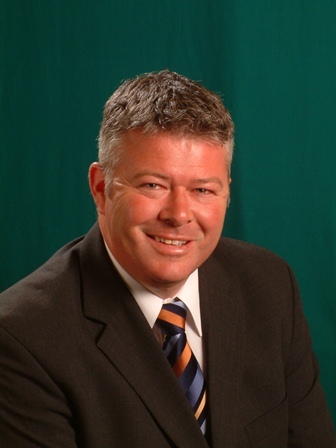 Elected to the Thirty-Seventh Parliament for Vasse on 26 February 2005 in succession to Bernard Kent Masters (defeated). Re-elected 2008, 2013. Resigned 3 September 2014. Treasurer; Minister for Commerce; Science and Innovation; Housing and Works from 23 September 2008 to 28 April 2010. Minister for Transport; Housing from 14 December 2010 to 6 December 2011. Minister for Transport; Housing; Emergency Services from 6 December 2011 to 10 July 2012. Treasurer; Minister for Transport; Housing; Emergency Services from 10 July 2012 to 13 July 2012. Treasurer; Minister for Transport; Emergency Services from 13 July 2012 to 21 March 2013. Treasurer; Minister for Transport; Fisheries from 21 March 2013 to 11 December 2013. Treasurer; Minister for Transport from 11 December 2013 to 10 March 2014. Shadow Minister for Small Business and Industry and Enterprise from 20 March 2005 to 4 February 2006. Shadow Minister for Industrial Relations; Finance; Public Sector Management from 4 February 2006 to 8 April 2006. Shadow Treasurer; Shadow Minister for Electoral Affairs from 8 April 2006 to 24 January 2008. Shadow Minister for Federal-State Relations; Small Business and Trade from 24 January to 20 June 2008. Shadow Minister for Federal-State Relations; Small Business and Trade; Multicultural Interests and Citizenship from 20 June 2008 to 8 August 2008. Shadow Treasurer; Shadow Minister for Commerce; Small Business; Housing from 8 August 2008 to 23 September 2008. Deputy Leader of the Opposition from 28 October 2005 to 17 January 2008. Leader of the Opposition from 17 January 2008 to 4 August 2008. Shadow Treasurer from 4 August 2008 to 6 September 2008. Member Economics and Industry Standing Committee from 7 April 2005 to 15 November 2005. Born 19 March 1966, Bunbury, Western Australia. The electorate of Vasse is located in the South West Region and includes the localities of Abba River, Abbey, Acton Park, Ambergate, Anniebrook, Boallia, Bovell, Bramley, Broadwater, Busselton, Carbunup River, Chapman Hill, Cowaramup, Dunsborough, Eagle Bay, Geographe, Gracetown, Hithergreen, Jarrahwood, Jindong, Kalgup, Kaloorup, Kealy, Marybrook, Metricup, Naturaliste, North Jindong , Osmington, Quedjinup, Quindalup, Reinscourt, Rosa Brook, Rosa Glen, Ruabon, Sabina River , Siesta Park, Treeton, Tutunup, Vasse, Walsall, West Busselton , Wilyabrup, Wonnerup, Yallingup, Yallingup Siding, Yalyalup, Yelverton, Yoganup, Yoongarillup and parts of Burnside, Forest Grove, Ludlow, Margaret River and Witchcliffe. Enrolment (14 February 2013) 23,114; area: 2,619 sq km.